Features: Old bark flakes off to reveal pale new bark. Round fruit is a mass of small seeds. Comments: Provide plenty of room and a moist site. 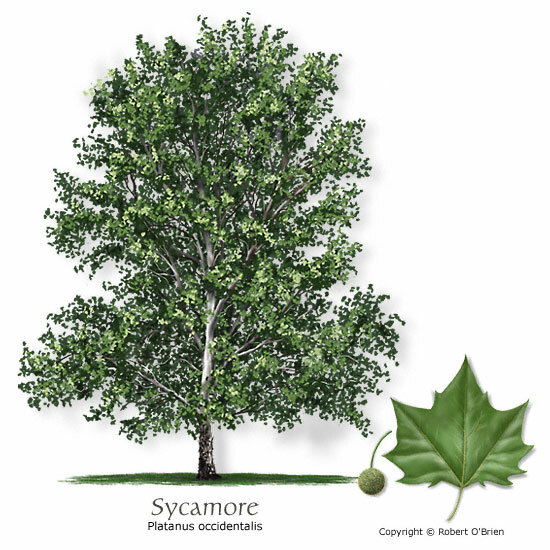 Mexican Sycamore (P. mexicana) is more drought-tolerant. Problems: Fruit and leaf drop. Anthracnose, stem cankers.